2009 was an incredible year for the dietary supplement industry. While the rest of American business floundered amidst the depths of a recession, the dietary supplement business thrived. Americans concerned about maintaining their good health stocked up on supplements by the shopping cartful. In a year when initial public offerings and acquisitions were almost unheard of, the supplement business saw many go public and get bought. Only iPhone apps fared better, and not by much. Meanwhile, the regulatory landscape tightened, but not as much as expected under a Democratic administration. While both foods and drugs had their shares of scandals, supplement makers passed their early cGMP inspections and emerged unscathed. Sports supplements face stiffer regulation. Under several proposals currently being circulated in Congress, the Drug Enforcement Administration would be given increased powers to schedule substances that are chemically similar to or precursors of human growth hormone effectively banning them from use without a prescription. Some sports supplement makers will need to reformulate their products or face enforcement action from DEA, an agency far more aggressive than the FDA supplement companies are used to. CGMP regulations impact small supplement businesses. In June companies with 20 and fewer employees become subject to the FDA’s dietary supplement CGMP regulations. Companies that rely on contract manufacturing will receive a rude awakening as they are subject to regulatory scrutiny they have never previously experienced. Small supplement makers should begin to prepare themselves by implementing standard operating procedures to comply with the new cGMP rules. Many will fail to do so and by year’s end fewer small supplement companies will be around to see 2011 as a result. Investors get serious about supplements. Expect more merger and acquisition activity in 2010 with special emphasis on venture capital firms seeking new opportunities for profit in the supplement space. Ingredient suppliers, contract manufacturers, marketers and retailers are all in play. Regulators take aim at Internet supplement businesses. Armed with new rules and increased funding, regulators at the Federal Trade Commission, Food and Drug Administration and state attorneys general will step up their attack on supplements sold as drugs and deceptive and unfair sales practices. The FTC endorsement rule will be used against bloggers and the companies that sponsor them. Learn and follow the rules now or get caught violating them later. 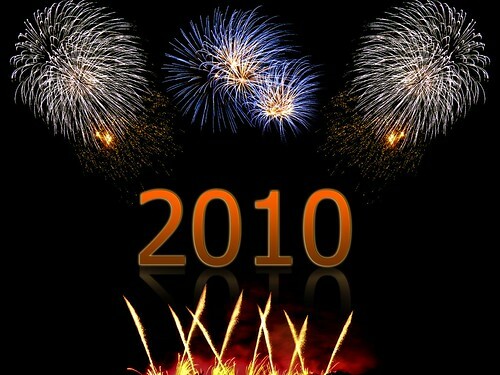 By all accounts 2010 will be a great year to not just survive but thrive. We hope to be there with you and look forward to your comments in the year ahead. I have a question. Please answer if you have some time. How do you balance advertising on internet if a dietary supplement is sold as supplement in USA and as a drug in another country, say India? Indian advertisement will definitely claim it to be a drug with ability to cure whereas US residents may access those ads not intended for them. How will FDA react in such cases. Great article!Hopefully with these new, more stringent regulations the supplement industry will become more credible in everyones’ eyes. Companies will be forced to only make claims that they can back-up. And the general public (including customers, doctors and media) will be more open and accepting of natural supplements as healthy alternatives to treat or prevent medical conditions, or for overall improvements in health, nutrition, fitness and wellness. Thanks for the great outlook/forecast. I think supplements are the best way to fulfill the particular thing so that now a days there are lots of variety in those supplements are available. So of those are really very harmful for the body. Anyways keep it up and keep sharing. Have their been any updates on cGMPs stance on small businesses doing contract manufacturing? I am eager to hear, because this effects so many small businesses!